Nominated as the World’s Leading Airline to the Middle East by the World Travel Awards this year, flydubai has made quite a splash since its inaugural flight on June 1st 2009. Such has been its unprecedented pace of growth and impact on the regional aviation scene that it is easy to forget that not only has the carrier introduced low-cost travel to the Middle East but also set new consumer benchmarks. With one of the best on-time performances in the industry, a fleet of 20 Boeing 737-800 NG aircraft and revenue per kilometre increasing 181 per cent in the year to May 2011, it is little wonder the Dubai-based carrier continues to see its popularity soar. 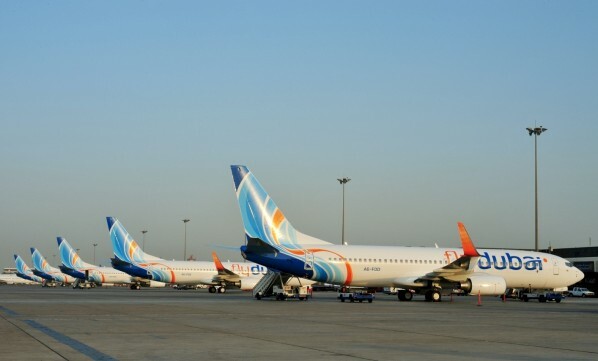 flydubai has also been instrumental in driving up passenger volumes at Dubai International Airport, with numbers increasing 8.9 per cent to 24.6 million in the first half of 2011. Flights to the Georgian capital Tbilisi began on November 4th this year, while operations to Belgrade began on November 10th, and will be joined by more launches in the months ahead. In total, flydubai has an operational network of 46 destinations, spanning the Middle East, North Africa, Indian Sub-Continent, Asia and the fringes of Europe following a busy summer in which the airline launched services to Ahmedabad in India; Dammam in KSA; Kiev, Kharkiv and Donetsk in Ukraine and two destinations in Russia, Kazan and Ufa. When the Dubai government announced flydubai’s launch in March 2008, the vision for the airline was to provide a low-cost alternative on already popular routes from Dubai. Officials in the emirate also sought to open up destinations that were underserved by direct air links to the United Arab Emirates, thereby boosting trade and tourism. The airline’s vision and expansion strategy won the backing of investors in 2010, when flydubai raised US$1 billion, securing all the aircraft deliveries due until the end of 2011. Behind the scenes, the airline’s success has been built on a $20-million maintenance and engineering investment programme, and an unswerving commitment to training. flydubai offers an unbundled product that had not been seen in the UAE before, making it appealing to fee-weary, seasoned low-cost passengers and uncomplicated for first-time flyers. And in a market where low-cost travel still only accounts for seven per cent of the total passenger traffic, compared to 35 per cent in Europe, clearly there is great potential for growth. Early last month, flydubai signed a deal with MC Aviation Partners (MCAP) to finance its first two Boeing 737-800NG aircraft deliveries of 2012. The announcement for two eight-year sale and leaseback contracts, made at the Dubai Airshow, represents an investment worth USD$170 million at list prices. Ghaith Al Ghaith (pictured above), chief executive of flydubai, explains: “We have been overwhelmed with interest for our aircraft deliveries next year. At the same time the carrier has signed a Maintenance Cost Agreement with Honeywell, worth more than $20 million, to provide maintenance support for the carrier’s auxiliary power units (APUs) installed on its growing fleet of Boeing 737-800 NG passenger aircraft. The ten-year contract provides flydubai with a stable, predictable maintenance structure that reduces costs associated with ad-hoc maintenance work and unscheduled airframe grounding, and extends the operational availability of the fleet. flydubai has another 30 aircraft on order. Al Ghaith adds: “With one of the highest fleet utilisation rates in the industry, we need to ensure that our aircraft fully support the operations schedule and Honeywell’s timely responses will safeguard this. Honeywell’s 131-9B APU supplies auxiliary power to each of flydubai’s Boeing 737-800 NG aircraft for engine start, as well as power for on-board air conditioning and pre-engine start-up power supply. All this has been recognised by consumers, with flydubai topping a poll of more than 500 UAE residents who were asked to choose the best value for money airline for travel in the region. flydubai topped the poll collecting 31 per cent of the total vote. In second place was Dubai-based full service airline Emirates, which just pipped Air Arabia with 18 per cent of the vote – 13 per cent behind flydubai. Dan Healy, the chief executive of the Dubai-based research company Real Opinions, which conducted the research, comments: “The regional airline industry has gone through a transformation in recent years, emulating what happened in the regional flights sector in Europe at the turn of the millennium.